Looking for some exciting Jay-Z nicknames? Or just curious about where some of his popular nicknames came from? Famous rapper Shawn Corey Carter, known by his stage name Jay-Z, is an entrepreneur, songwriter, and an American record producer. 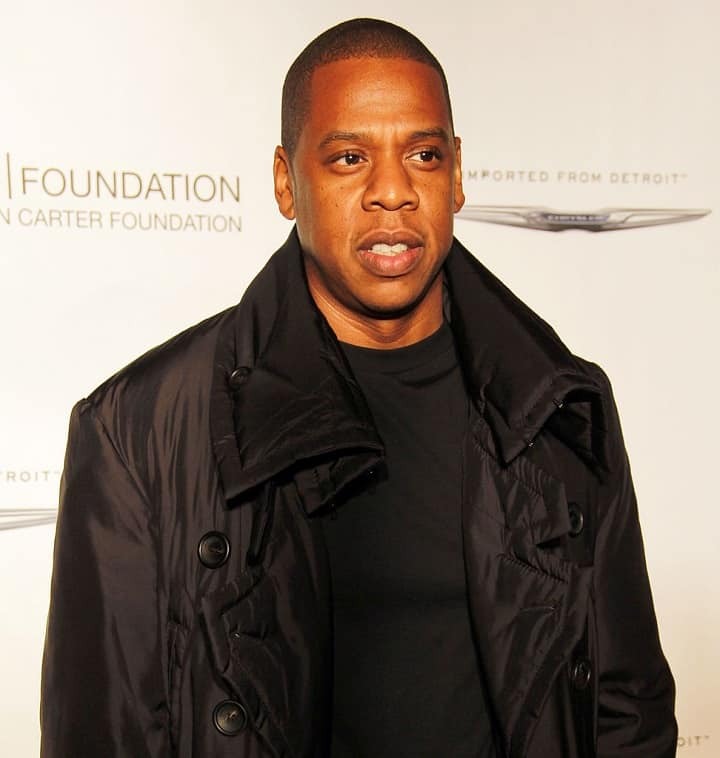 Jay-Z has been an influential name in the rap industry since the 1990s and has evolved greatly over the years, with different nicknames attached to him during this time, each with significant stories behind them. Here’s our list of all the nicknames of Shawn Carter and their origin! These are the most popular Jay-Z nicknames, the ones you are more likely to have heard. Hova – Gotten from one of his lyrics, Rhyme No More where he calls himself JayHova or “Hova,” a self-acclaimed rap god. Jay – A nickname short for Jay-Z. Commonly used as a couple nickname; Jay and Bey. S-dot – A Jay-Z nickname from a line in Looking At My S-Dots, a track he dropped after his signature shoes S. Carter came out. Lucky Lefty – A Jay-Z nickname that became quite popular in 1997 after Whatchu Want, a 1997 track by Jay-Z, Notorious B.I.G., Diddy, and Charli Baltimore had Jay-Z comparing himself with Charles “Lucky” Luciano and Benjamin “Lefty” Ruggiero, from the film Donnie Brasco. Jazzy – A nickname for Jay-Z from his days in the hood. Jigga – Jigga – A nickname from when Jay-Z was in his teens, given to him by his mother after he called 1 billion watts “Jiggawatt” instead of Gigawatt. Young Hov – Young Hov – Jay-Z’s “god of rap” self-acclaimed nickname from his track Hova. President Carter – A nickname befitting his status as the president of the Roc Nation, his record label. King Hov – Hov is short for Hova, or Jay Hova. These Jay-Z nicknames are not so popular. Some are from other parts of the world, some are from his songs, and some are just plain funny nicknames. Andre Agassi – From the lyrics of Jay-Z’s track Can’t Knock The Hustle where he raps, “When tennis balls hit the fence I serve 8 balls like Andre Agassi”. Big Homie – A nickname gotten from Jay-Z being one of the biggest “homies” in the rap industry. Black Warren Buffet – From an Interview held by Forbes on Jay-Z & Billionaire “Warren Buffett,” regarding advice on success. Caesar – “All hail, Caesar’s home, niggas” was a line from one of his rap songs released in 2013. CEO of the R.O.C – Gotten from his track Public Service Announcement where he “re-introduces” himself as the CEO of his record label. Champagne Hova – This nickname was as a result of Jay-Z’s interest in champagne brand Armand Brignac, which he eventually bought. Corey – From Jay-Z’s middle name. Doom – A nickname representing Jay-Z and MF DOOM who were both active in Hip-Hop back in the days. Dope Man – From one of Rapper Jay-Z’s tracks back in 1999. El Padrino – Which means “Head of the family” from Jay-Z’s track La Familia. Gemini – From the horoscope sign of June, the birth month of Jay-Z and Beyoncé’s twins. God MC – A Jay-Z nickname similar to being called the “god of rap” or the god MC. Grey Hova – A Jay-Z nickname from the “Grey Hova” Art Print created by Timothy McAuliffe with a grayish image of him. Hovito – A Jay-Z nickname similar to Hova, with the -ito added to make it sound Spanish. Hovvie – A nickname gotten from Jay-Z’s Hovi Baby track from The Blueprint 2 Album. International Hov – From one of his rap tracks, where he says being an “International Hov” is his identity. Izzo – A nickname originating from Jay-Z’s Hova song, with Izzo representing the ‘O’ in Hova. Jay Peso – From Jay-Z’s Change The Game rap track, where he says “Jay-Hov, ‘bout to change my name to Jay Peso” in one line of the song. Johnny Blaze – A nickname gotten from the actual name of Jay-Z’s producer, Just Blaze, who produced the songs on most of his popular albums. 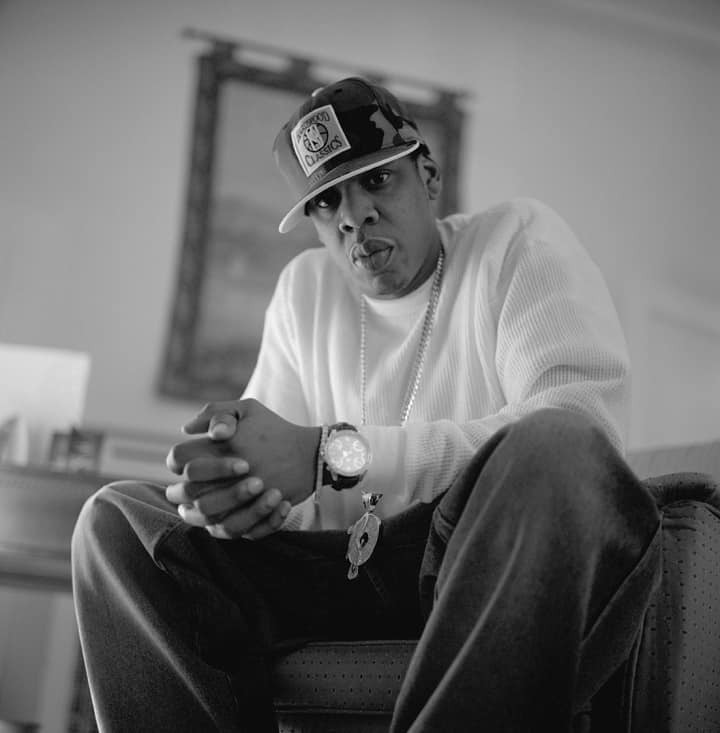 Mr H – Short for Mr. Jay Hova, the king of rap music. New Kennedy – A Jay-Z nickname that grew popular after he mentioned he feels he can be best compared to Joe Kennedy. Picasso – A nickname from Jay-Z’s single Picasso Baby. Pimp C – A nickname from the rapper’s track Big Pimpin, the third and final single from his fourth album. S-Dot Carter – Gotten from his track S. Carter, off his 4th album. Supervillain – A nickname that originated from Jay-Z’s ‘4:44’ album. The Black Gangsta – From the chorus of Jay-Z’s track This Life Forever. The Black Jay Gatsby – A Jay-Z nickname given by The Great Gatsby director Baz Luhrmann, who praised Jay-Z’s work on the film’s soundtrack. The Blueprint – Gotten from the name given to Jay-Z’s 6th studio album released in 2001, The Blueprint. The Roc Boy – A nickname representing Jay-Z’s record label, Roc Nation. The Ruler – A nickname gotten from Jay-Z’s track The Ruler, off The BluePrint album. Tical – Gotten from when Rapper Jay-Z released his personal and political album ‘4:44’ on Tidal. Ticallion Stallion – A Jay-Z nickname from a popular street language. Uncle Jay – Gotten from the first letter of his stage name, Jay-Z. William H. Hova – A nickname that signifies the wealth of rapper Jay-Z as well as his awesomeness. And there you have it – the most interesting nicknames for the American rap god himself. What’s your favorite Jay-Z nickname from the list? Know any one of his nicknames that we didn’t include? Share them with us through the comments section!